This photograph is of Mrs Elsie Smith out side her grandmother's house, 160 Blackfriars Road in 1926. 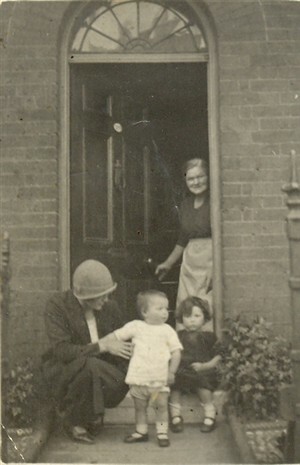 Her grandmother is in the doorway, Mrs Smith is the toddler in the white dress, her older sister is sitting on the step and her mother is crouching down. Mrs Smith was born in the house. This page was added by Laura Matthews on 16/04/2007.